Ferdinand Carrier had been born on Saturday , January 25, 1851 in Saint- Bernard-de-Dorchester, province of Quebec. 2 The next day, January 26, 1851, he was baptized in the parochial church by Father François Edmond Moore. The godfather was Georges Grégoire and the godmother Mathilde Caron. We also learn that in September, 1858, there was already a school on road Saint-Luc since, Sunday the 8, the priest of Saint-Bernard warned his parishioners that schools will open the next day. As for the Saint-Luc Road school , the commissaire(the man responsable for schools) warned the concerned persons that they will meet at his home. Ferdinand was then seven years old. The ardent character of young men from Saint Bernard, amoung whom Ferdinand belonged, reached us todays. So, in the fall of 1859, 6 Father Bourrassa judged appropriate to reprimand his flocks in these terms: It is necessary to attend the catechism and not to go to play on the logs. 7 Ferdinand was then eight years old and did not live very far from the church. Ferdinand Carrier attended school of Road, Saint-Luc 8 In 1863, this school was kwown as school number 5 was held by Miss Rhéaume. 9 Mister Carrier (perhaps Romuald brother of Ferdinand) would be the inspector of it from 1881 to 1895. 10 In 1861, Ferdinand was listed with his family in Saint-Bernard, on Saint Luc Road. He was ten years old and attending school. In 1871, at the age of 20, he was again listed in Saint-Bernard. 11 He was living in his brother's house, Romuald Carrier although his father and his mother were still alive. One and a half year before his first marriage, on February 6, 1875, Ferdinand Carrier received from his brother Romuald, half a plot of land. 11a This land was lot no. 26, Road no. 5, Township of Broughton, in the Roman Catholic parish of Sacré-Coeur de Jésus. This parish had existed only since 1871. Sacré-Coeur de Jésus today (2015) is part of East Broughton. Romuald had aquired that land from Olivier Boudreau on August 15, 1868 by a contract written by Notary L.-G.-A. Legendre. In 1876, Ferdinand Carrier was 25 years and farming. He was living in Saint-Frédéric-de-Beauce and got married to Eugénie Vachon, 12 18 years old, also from Saint-Frédéric. 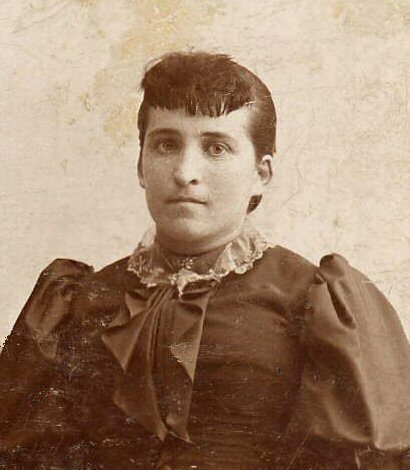 13 Eugénie was the daughter of Paul Vachon farmer and deceased Émilie Tardif from Great Falls, U.S.A. She has been living in Saint-Frédéric for 5 years or less since in 1871, she had been listed at her paternel uncle's house, Hilaire Vachon. 14 Ferdinand and Eugénie had passed a marriage contract on August 20, 1876. This contract written by notary Legendre tells us that Ferdinand was farming in the Township of Broughton, in Beauce County and that on this date, Mathilde Grégoire his mother, was already dead. Ferdinand was joigned by his brother Elzéar Carrier and his friends Alexis Cloutier senior, Alexis Cloutier junior, Joseph Fontaine, Louis Morin, Octave Doyon, Philéas Poulin, Alfred Lapointe and Dame Lucie Vachon. Eugénie had brought with her, Hilaire Vachon who was her oncle and her foster father, her aunt Esther Perreault, her sister Anaïs Vachon and her friends François Poirier, Pierre Jacques and Rchard Bisier. Their marriage contract specifies that it was done according to the Paris customary and under the Civil Code of Lower-Canada. The contribution of each spouses tells us that Ferdinand now owns half of lot no. 23 on Road no. 3 in the Township of Broughton, having an area of 50 acres. Hilaire Vachon as foster father of Eugénie promissed to gave to Eugénie, at the marriage, one milking cow, one heifer, two ewes with their lamb, one bed, one spinning wheel, one chest, one suitcase and one drawers chest. 1- Albertine Carrier born in 1878 18 who married Onésime Francoeur on Monday, September 17, 1900 in Saint-Honoré ( Shenley). Onésime Francoeur and Albertine Carrier had no child. They however adopted teenagers to work on their farm. Onésime Francoeur died old, leaving a large sum of money acquired mainly by mortgage loans. 19 . Ferdinand got remarried the following spring. It is of Ferdinand Carrier's second marriage that the lineage studied in the present monograph continues. At this second wedding, Ferdinand Carrier married Marie-Odile Boulet. 21 The marriage took place on Monday, May 8, 1882 in Saint Frédéric de Beauce. Ferdinand was still farming there. Odile, was the under age daughter of Bénoni Boulet also farmer and of Dina Cloutier, all of Saint Frédéric. Ferdinand's uncle (by his first wife), Hilaire Vachon, Thomas Gagné cousin of the bride, Marie-Delvina Boulet sister of the bride and Paul Goulet 22 friend of the couple attended the wedding blessed by the Father Joseph Étienne Morin. In 1881, one year before this marriage, Marie-Odile had not been listed with her family. She had then two unmarried sisters and one young brother (Adeline 20 years old, Thomas 10 and Édouard 7). The Boulet family lived then between Richard Grégoire and widow Philomène Jacques where also lived the labourer and widower Pierre Trépanier. In 1894, Ferdinand and Marie-Odile had a son Arthur Carrier whom they make baptize in Saint-Frédéric on March 1st, the day af of his birth. So we can conclude that the Ferdinand Carrier family was still living in Saint-Frédéric or its neighborhood at this time. In 1898, Odile give birth to a girl Mélina. Mélina was baptised at Saint-Honoré (Shenley) on October 21st. Between 1894 and 1898, Ferdinand Carrier, probably quitted Saint-Frédéric for Saint-Honoré (Shenley) since Mélina is baptised there. During the same epoch, several men dashed away for the gold rush and went to the Klondike. In Saint-Bernard, for instance, in 1896 and in the following years, 60 men (almost all of them) left for the Klondike. 23 But Ferdinand chose to stay in his homeland. 1-Ovide Carrier married July 9, 1907 to Marie-Mathilde Lacasse in Saint-Honoré. Children: Georges, Victorin and Emilia. They would live mainly in Stanested, Quebec. 2-Marie-Victoria 24 Carrier married July 16, 1907 to Napoléon Boutin in Saint-Martin. Children: Aline, Annette, Alice-Aimée, Marie-Paule, Raoul, Marie-Jeanne and Georgette. Napolon Boutin had a sawmill. 3-Arthur Carrier married in first wedding on Monday , June 24, 1912 to Maria Leblanc in Saint-Hubert de Spaulding (Audet) and secondly on Tuesday, June 17, 1930 to Angélique Fortin in Saint Martin. 4-Ange-Aimé 25 Carrier married on September 17, 1918 to Marie-Eva Lacroix. A funny incident marked this marriage. Because of the conscription, a military policeman waited for the groom at the exit from the church for the compulsory recruitment in the army of Her Majesty. Aimée Carier ran away by the sacristy and stayed in the bush for three weeks. Children: Marcelle married to Philippe Turcotte 26 and Roch. At the age of 52, one day before his third marriage, that is to say on April 20, 1903, Ferdinand Carrier togather with Cécole Morin went to notary François Bourget's office for their marriage contract. 27 That contract tells us that Ferdinand was a person of private means (rentier) and that he was living in Saint-Honoré de Shenley, probably at the village since his house was on a plot of land of only one acre. 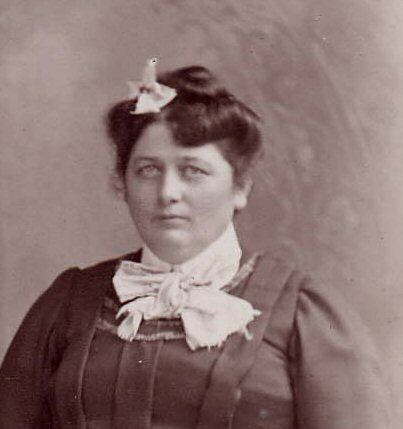 Céline Morin was living in Saint-Henri-de-Lévis and was the widow of Siméon Turcotte. On Tuesday, April 21, 1903, Ferdinand got married for the third time to Marie-Cécile Morin in Saint-Henri-de-Lévis. 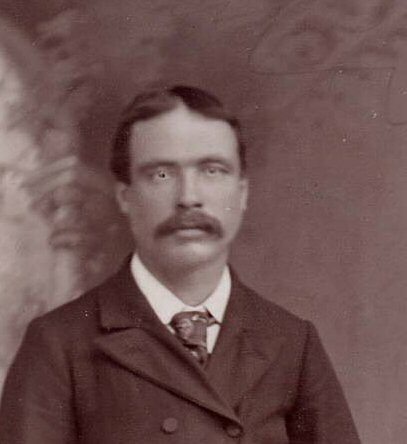 Octave Giguère brother-in-law of Ferdinand was his is witness. This marriage gave us the evidence that Ferdinand was living in Saint-Honoré-de-Shenley. Ferdinand's third marriage did not last. No child. Ferdinand Carrier died in Sainte-Marie de Beauce hospital at the age of 73. He died in 1923 and was interred in Sainte-Marie's cemetery on September 20. The witnesses were his two sons Aimée and Arthur. At his death,Ferdinand is said widower of Odile Boulet and formerly from Saint-Honoré de Shenley. 1 Also nicknamed Le Père Fardinâh. 2 Taken from the register of baptisms of Saint-Bernard de Dorchester for year 1851. 3 Public Archives of Canada, CENSUS of 1881, microfilm no. C1119, folio n. 84, pages 117-121. 4 1851 was the year of a strong volcanic activity in the regions of Java and Sumatra (Indonesia), that obscured the sky and resulted in a very cold summer. 5 This after almost one hundred years of occupation. 6 The 16th Sunday after the Pentecost. 7 BROCHURE SOUVENIR DE ST-BERNARD DE DORCHESTER, 1945, pp. 18-19. 8 Information given in the census of 1861, Reel c1278, page 143, folio 17. 9 The school on Road Saint-Luc will be built only in 1880. In 1863, the classes are certainly held in a private house, probably that of the Rhéaume's near Joseph Carrier III. 10 BROCHURE SOUVENIR DE ST-BERNARD DE DORCHESTER, 1945, page 82. 11a Concession by Joseph Romuald Lebrun dit Carrier to Ferdinand Lebrun dit Carrier his brother. February 6, 1875, Pierre Plante, notary, act no. 3879. 12 Used Eugénie as first name (signed Eugénie at her marriage). 13 Taken from the Register of marriages of the parish Saint-Frédéric for the year 1876. 14 Public Archives of Canada, CENSUS OF 1871, microfilm no. C-689, page 58, district no 158, Beauce-ouest, sub-district 'c'. Sensus taker: Alfred Letendre. Hilaire Vachon and Eugénie were listed at house no 173. 15 Public Archives of Canada, CENSUS OF 1881, reel no. C-13194, 1881, 48-Beauce, F-St-Frédéric, page 38. 16 Taken from the Register of marriages of the parish of Saint-Frédéric de Beauce for year 1876. Octave was listed the 8th neighbour from Ferdinand going towards Elzéar in 1881. 17 The census taker clarified the month of the birth. 18 Public Archives of Canada, CENSUS OF 1881, reel no. C131194, 1881, 48-Beauce, F-St-Frédéric, page 38. 20 According to Gérard Carrier nephew of Eugénie and father of the author. 21 Taken from the Register of marriages of the parish of Saint-Frédéric de Beauce for the year 1882. 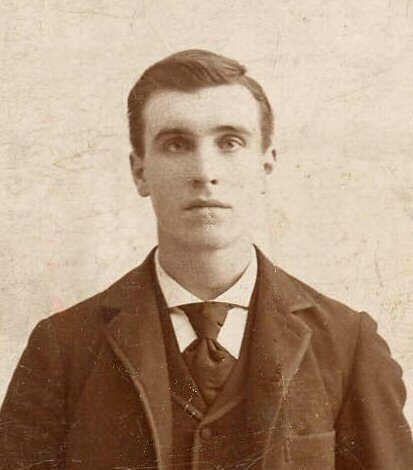 22 Paul Goulet was 23 years old at the census of 1881, was bachelor and lived at Pierre and Célamie Goulet place in Saint-Frédéric. 23 BROCHURE SOUVENIR DE ST-BERNARD DE DORCHESTER, 1945, p. 97. 24 Used Marie as first name. 25 Used Aimée only as first name. 26 Will live mainly in Bic, county of Rimouski, Québec. 27 Marriage contract between Ferdinand Carrier and Dame Cécile Morin, April 20, 1903, François Bourget, notary. Act no. 10272.